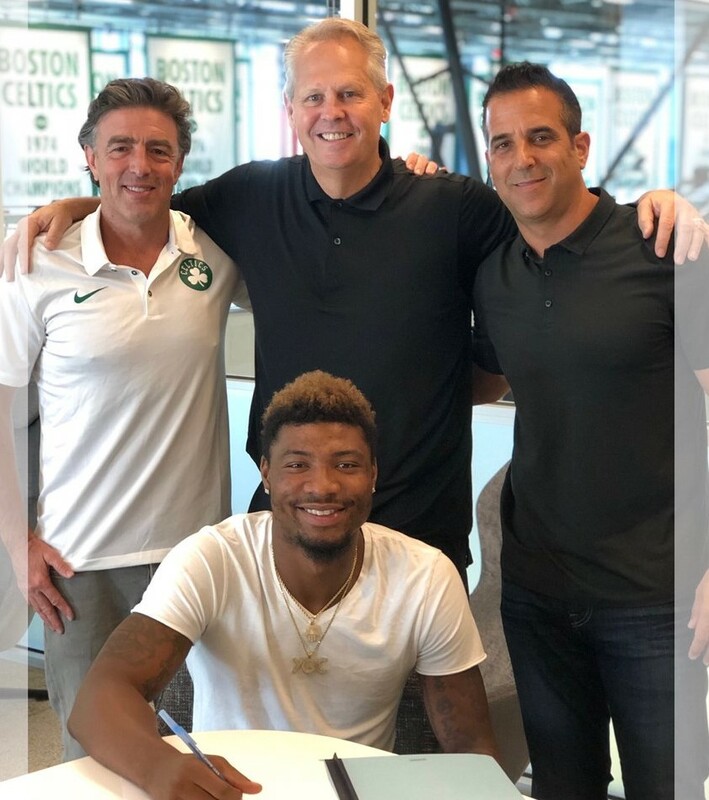 The most tenured Celtic, Marcus Smart, is staying with Boston after finalizing a four-year, $52 million deal on Thursday. Topher recently examined why Smart's new extension was a great move for the Celtics, but the deal is really a win-win for both parties. Smart got paid around the amount he wanted, while also staying on a contender, where his little game-changing plays are most valuable. The Celtics got their bulldog back at what should be considered a good price in today's ever-increasing market. Happy Walters, agent for Marcus Smart, on new deal: "He's thrilled, really happy. He loves it here in Boston. The contract is fair for him and the team." Salaries include a $500K likely bonus for body fat weigh in, per sources.